I picked this polish up yesterday whilst shopping. I was immediately hooked! 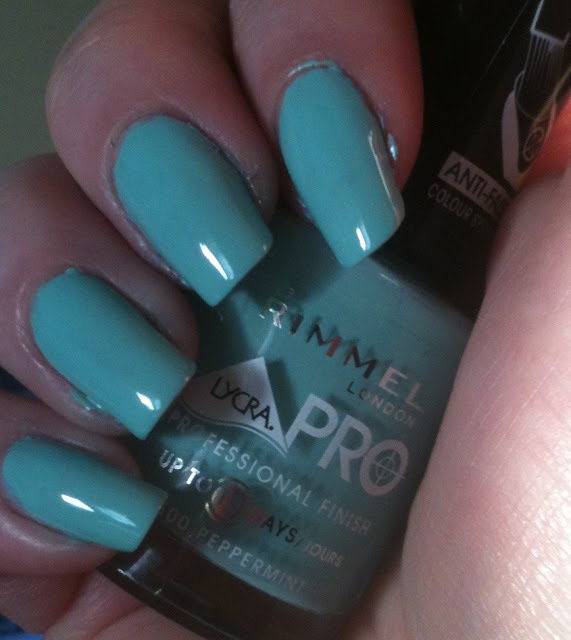 Rimmel Pro polishes contain 12ml whereas their standard polishes have just 8ml. 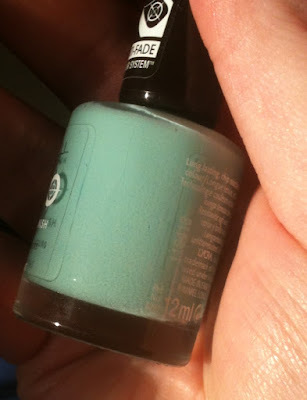 There is a price difference though, I think these polishes are about £4-5. 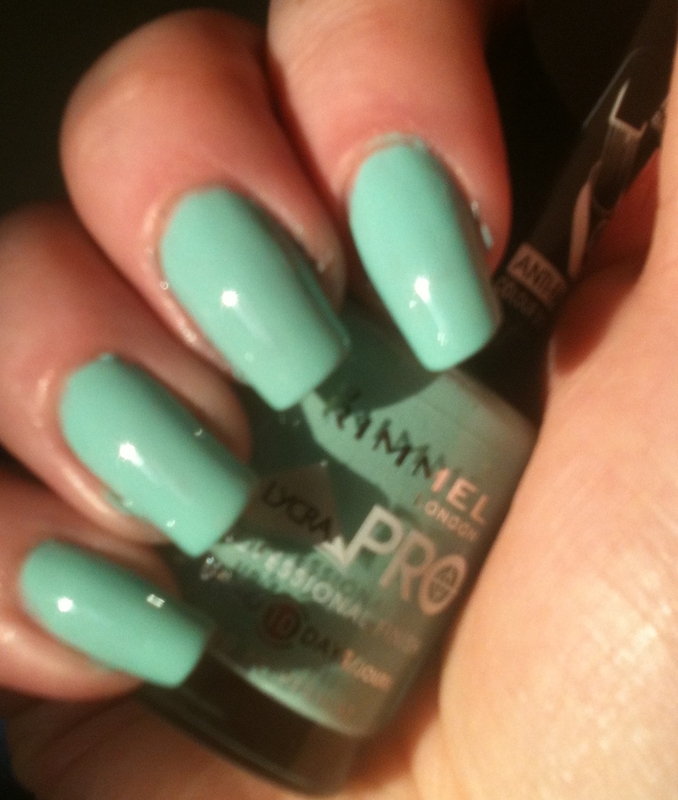 Peppermint (500) is a pale blue with strong green tones. This pulls bluer on me but does look green in direct sunlight. This was opaque in two coats. The first coat was a bit thin and streaky. 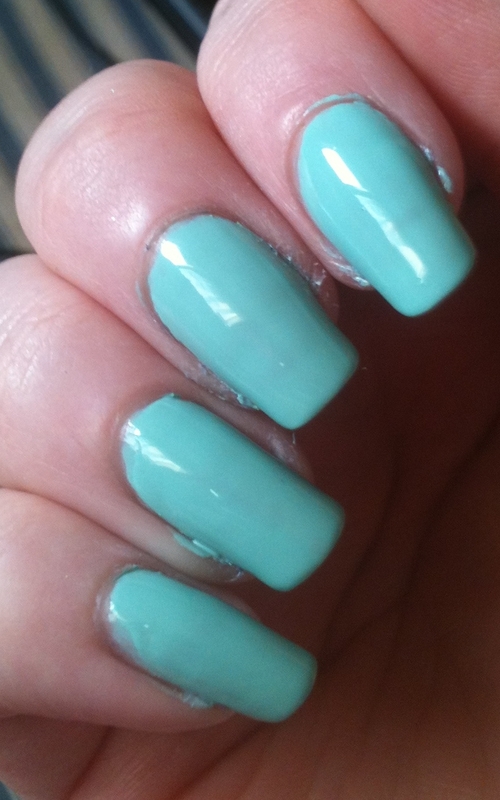 This is a gorgeous spring colour!